Bulgaria, which at first was only planned to be the place where Nat would fly home and I would start riding back home too turned out to be much, much more interesting than I had expected. The next step in my very general plan was to be in Athens by Friday to meet my sister and her husband, who were starting their holidays there, so I had about two and a half days to spend between Bulgaria and Greece. 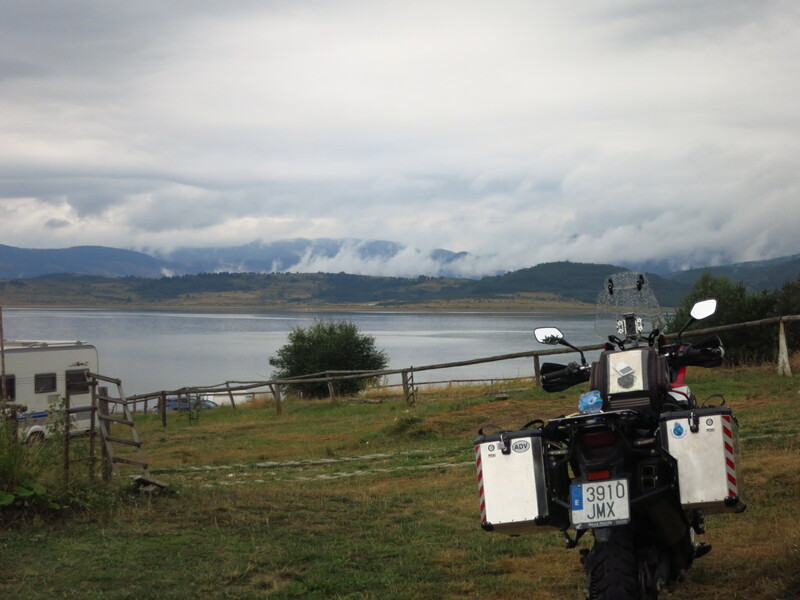 I decided not to push too far, and after asking for advice in the Motocamp I decided to head straight south instead of going west to meet the main road coming down from Sofia. That motorway went through the Blagoevgrad valley, where we had hit 37 degrees of heat the week before, and I was not keen to repeat the experience. 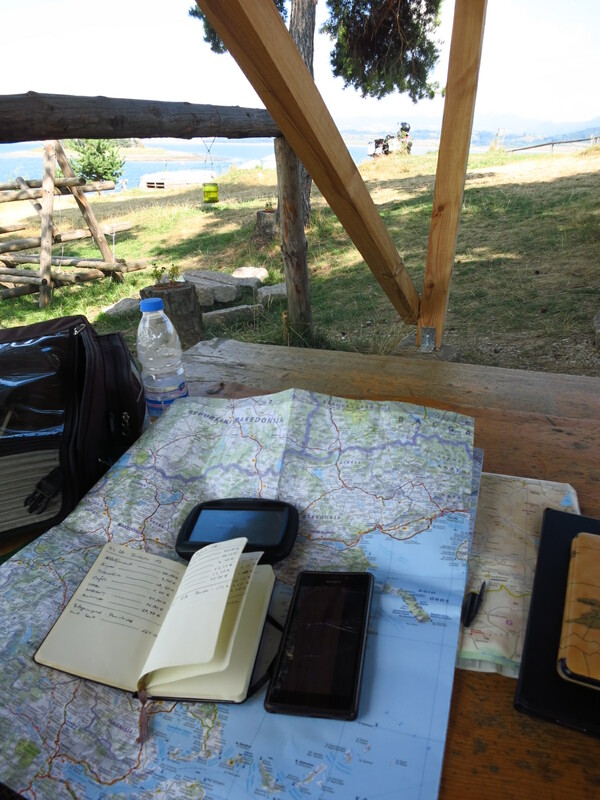 The route south would take me on small mountain roads, a much less busy border crossing and into relatively unpopulated areas in northern Greece. Perfect plan. I don’t like taking border crossings late in the day, and there did not seem to be much to choose from in terms of campsites or accommodation on the Greek side, so taking advice from Peachy, another British expat in Idilevo who knew the area, I decided to stay on the Bulgarian side and go to a campsite by a lake called Batak. I left Idilevo with the rain layers in my suit, as it looked as if it was going to rain again, and it was rather chilly. 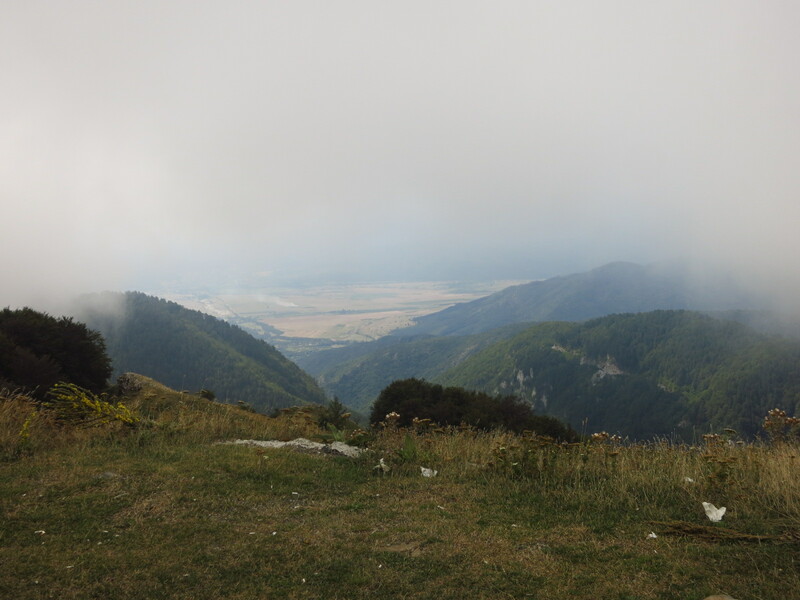 It got colder as I crossed the Central Balkan mountain range, and by the top of Beklemeto pass, at 1,520m, there was such thick fog that could enjoy the views at all. What I did enjoy was the road, another great one, and the ride down the southern side of the mountains where the sun came out and the temperature rose quickly. By the time I had reached Kamare, the first town at the bottom of the mountains, it was already so hot I had to stop to remove the rain liner in the suit and open all vents. From there all the riding became a lot more tedious. It was hot, and the landscape was nothing more than a huge plain of brown fields. 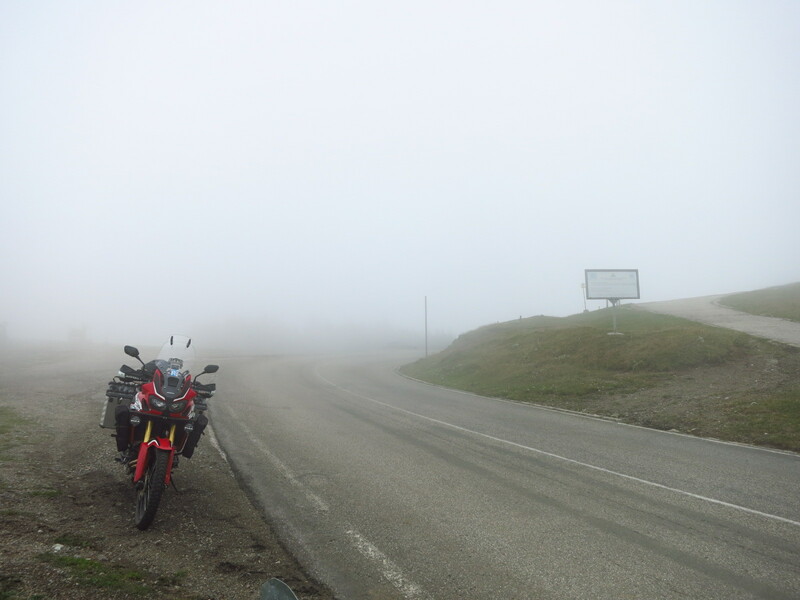 The road was good and straight, which meant a lot more traffic going faster and not much fun on a motorbike. In the outskirts of Plovdiv I went through a place called Trud, to which I give the Ugliest Place On Earth award. Lake Batak was beautiful, and the campsite had a small island in front of it. I stopped by reception, which was nothing more than a tiny wooden hut, but there was nobody there. The camp was half empty, there were only a few caravans and no tents, and the few people I saw were far away fishing or walking along the lake shore. I was wondering what to do when I saw a small sign on the hut window with a phone number and a message saying to call if there was no one there. I did, and a very helpful guy told me that I could put my tent up anywhere I wanted and gave the wifi password. Wifi? There were a few showers and toilets behind the hut, but that was it, no bar, no common room, no kitchen… but there was wifi, and from what I found later, it was accessible even from my tent. What a luxury! It reminded me of a campsite in Finland I has stayed in some years before. I put my tent up and sat down to write on a wooden table nearby when the owners appeared and we arranged the check in. He told me I was supposed to fill in a form with quite a lot information because the authorities were growing more wary of refugees travelling through the area, but he said that my name would me more than enough and even gave 15% discount when I told him that I had found out about his place in the Motocamp. I thought about going for a walk along the shore, but by then there were dark clouds coming fast from the north and I could hear thunder, so I stayed and cooked an early dinner on my stove in order to be ready to get tucked up into the tent when the storm came. It did come right after it got dark, and with it came pouring rain and winds that shook my tent all night, but I was so tired that with some earplugs on I slept through the night without barely noticing. 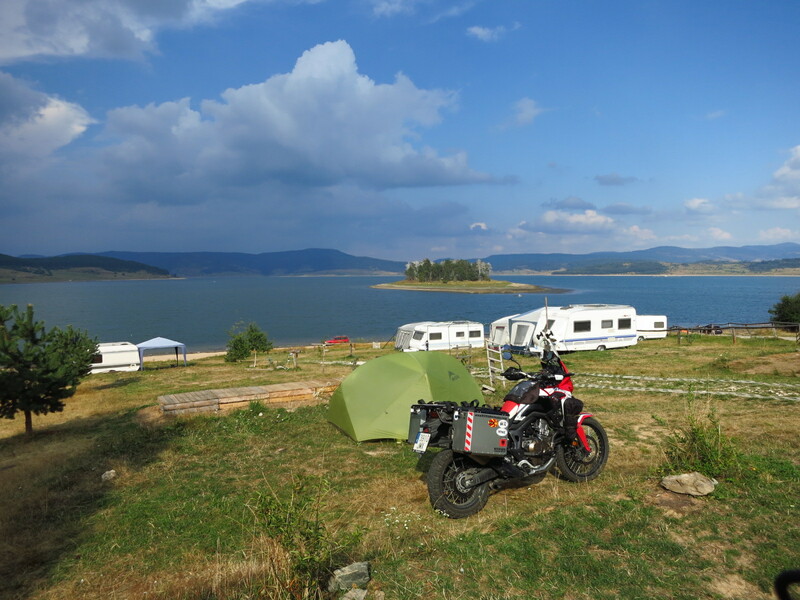 This entry was posted in Balkan Adventure 2016, Travel and tagged Beklemeto pass, Bulgaria, Central Balkan Mountains, Honda CRF 1000L, Idilevo, lake Batak, Motocamp by Kilian. Bookmark the permalink.